So pretty much after trying a lot of experiments with chicken varieties like Butter Chicken, Coorgi Gawti Chicken, Mint Chicken Korma; I decided to try my hands on cooking fish, at least for once. 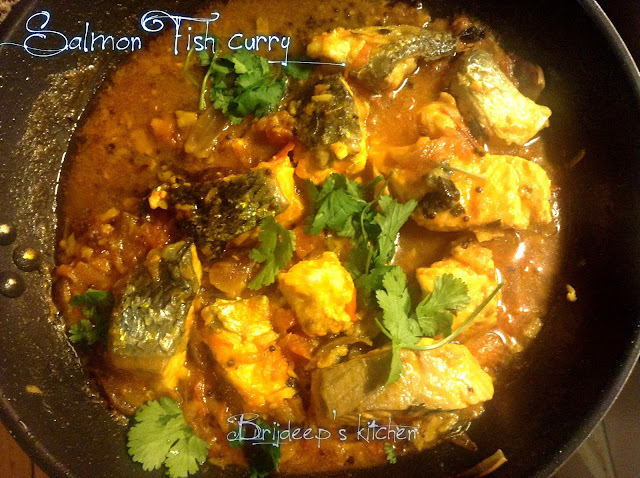 So hubby dearest got Salmon fish and I decided to make a simple fish curry with it. 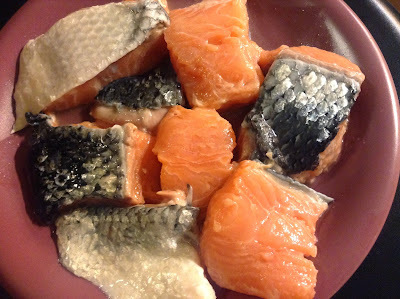 Honestly, I was seeing raw salmon fish for the first time, so was feeling wonderful and it looked so beautiful to me raw that I could not stop myself from taking pictures even of that.. 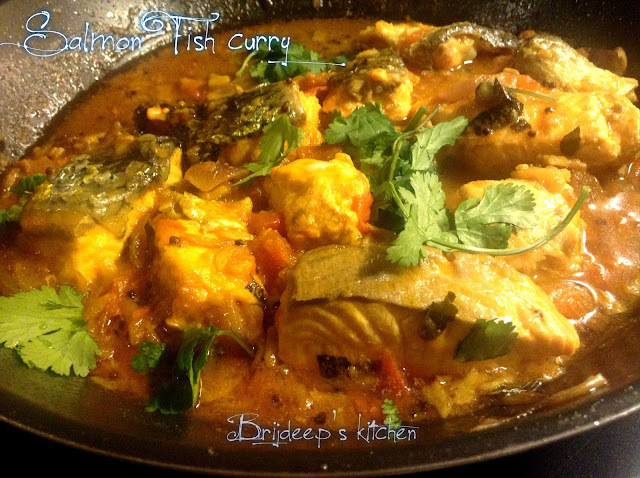 The resultant fish curry was really simple and delicious, cooked with minimum amount of spices which was light on platter. Red chili powder 1/2 tsp. Wash and clean the salmon fillets and keep aside. Heat oil on medium heat and add mustard seeds. Add curry leaves and onions. Sauté till onions are transparent. Add the ginger-garlic paste and cook for about a minute. Add the tomatoes and let cook covered until they become completely soft. Add salt, red chili powder, turmeric powder and coriander powder. Mix well and cook for half a minute. Add a cup of water (more or less, depending upon the amount of curry required) and bring it to a boil. Add the fish fillets after 2 minutes and stir gently. Cover and let cook for 10 minutes. Remove the cover, let cook for another 5 minutes on low heat. The salmon will get cooked by now. Turn off the heat and serve hot with steamed rice. Update: Salmon tastes much, much better if it's marinated in just salt, turmeric, mango powder etc. for about 10 minutes and shallow fried in oil till both sides are browned. Frying will take only about 2-3 minutes each side but changes the taste so much. 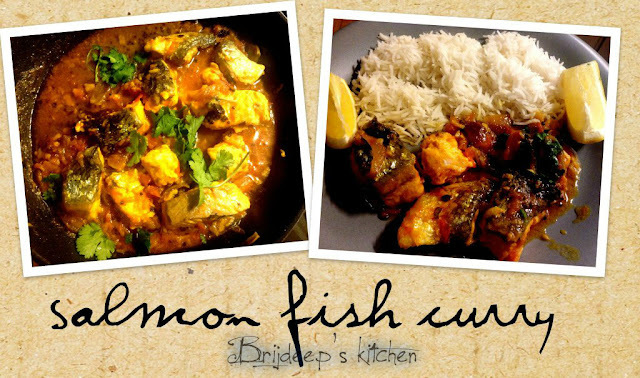 (From experience after making salmon curries a lot of times).